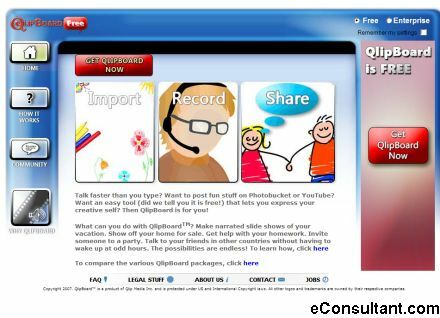 Description : QlipBoard enables you to make narrated slide shows of your vacation. Show off your home for sale. Get help with your homework. Invite someone to a party. Talk to your friends in other countries without having to wake up at odd hours. The possibilities are endless.